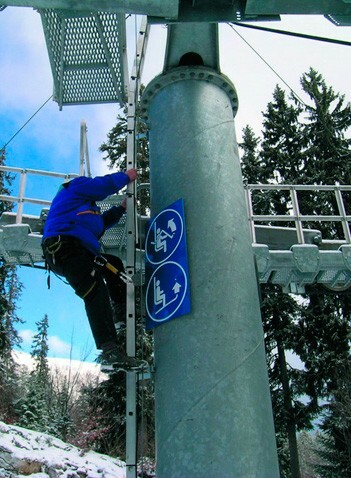 SECURIFIX® potelet is a anchoring system consisting of a post with its fastening plate, a sealing collar and an anchor ring conforming to standard EN 795 class A.
SECURIFIX® potelet is used with compliant PPE (lanyard, fall arrest inertia reel, etc.). 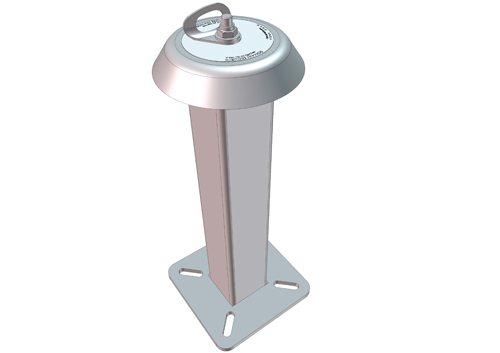 It can be installed on all concrete, timber and steel supports. 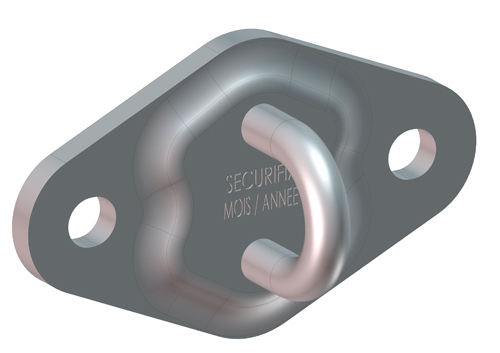 SECURIFIX® potelet est un ensemble d’ancrage réunissant un potelet avec sa platine de fixation, une collerette d’étanchéité et un anneau d’ancrage conforme à la norme EN 795 classe A.
SECURIFIX® potelet s’utilise avec un E.P.I. conforme ( longe, enrouleur, etc …). 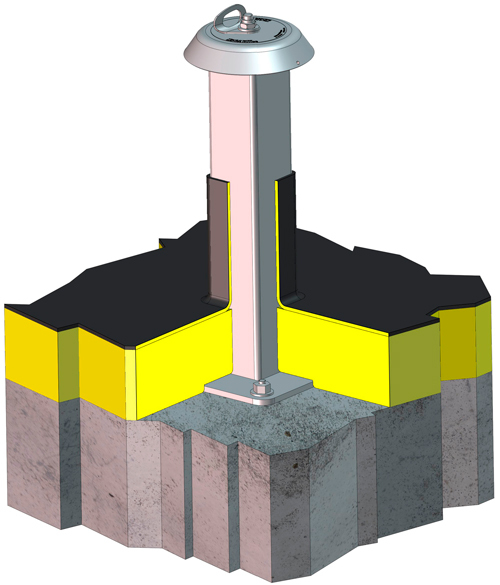 Il peut être installé sur tous supports béton, bois ou métallique. Special RAL coulours on request for the stainless steel version. 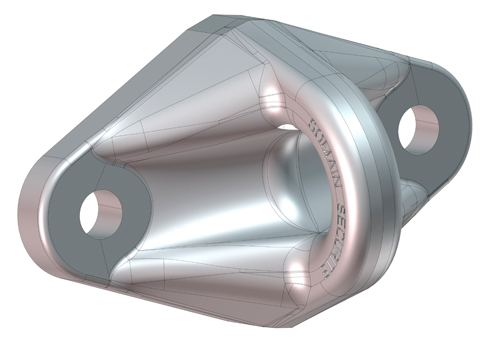 Our design office is at your disposal to propose custom solutions to meet every situation. 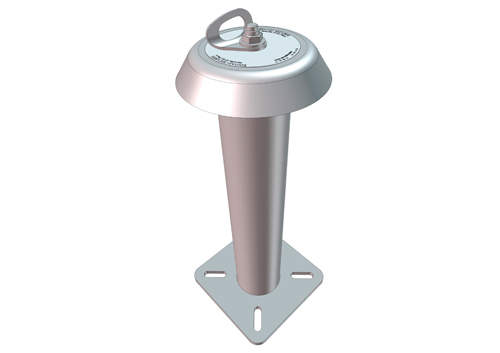 The fact that the fastening, post, sealing collar and ring are all combined in one product provides a simple, economical solution. On a concrete slab, the device is fastened down with 4 x M12 fixings. 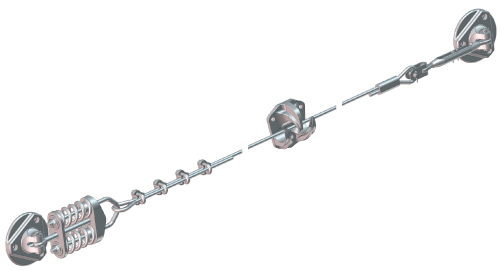 To fix the device onto a steel or timber beam, SOMAIN SECURITE proposes a clamping system with a standard counter plate.